2018 is coming to an end and while some of us are putting together a new list of resolutions there is one life choice that remains constant. Where to celebrate New Years Eve in Orlando? Wall Street Plaza has been hosting the biggest and best New Years Eve block parties in Orlando for more than 20 years. Continue the tradition and ring in another New Year with friends and family at this years New Year’s Eve 2019 Block Party at Wall St. Plaza. 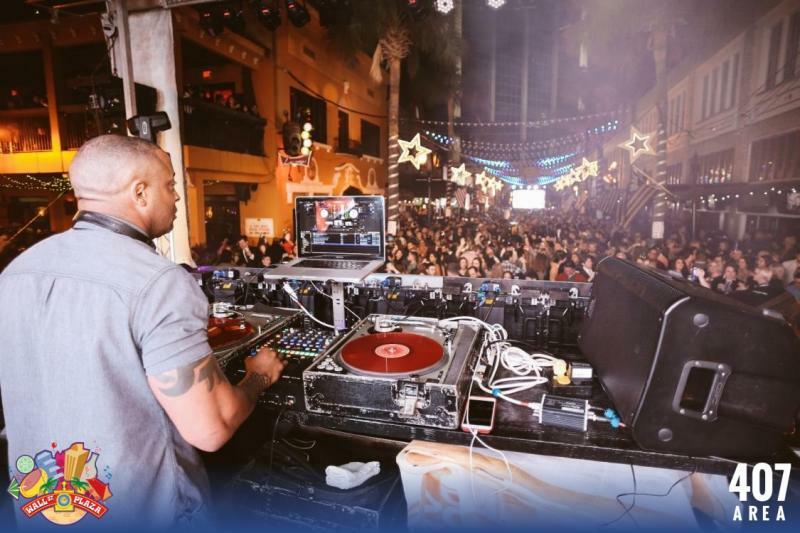 On December 31st starting at 7pm Wall Street Plaza in Downtown Orlando will be tinseled with lights and sounds from DJ Eric Draven that will remind you of block parties past and get you pumped for the Wall St. Plaza block parties yet to come. Are you prepared to party into the New Year? 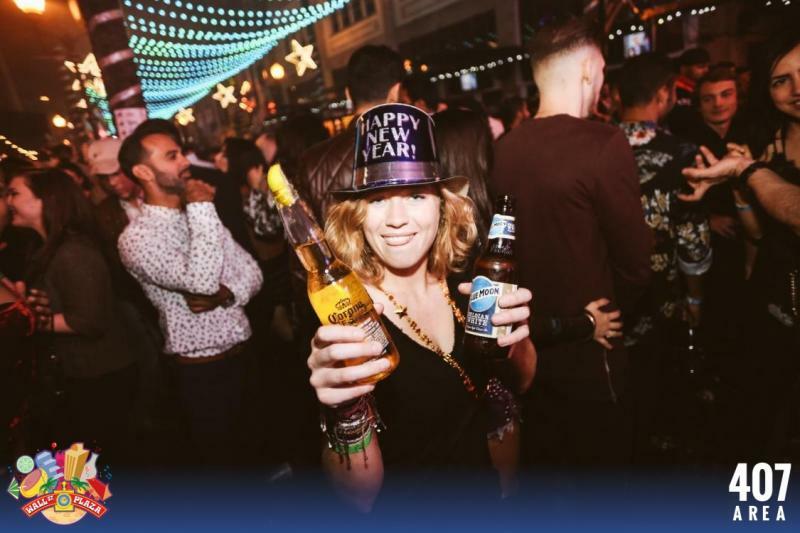 Home to the biggest and best countdown and New Years Eve Party in Orlando, advanced tickets to the New Year’s Eve 2019 Block Party at Wall St. Plaza are just $25. This includes entry and access to all 8 venues, drink specials, light show, and confetti cannons at midnight. Love to wait till the last minute to commit to your NYE party plans? For those of us who couldn't keep our resolution to stop procrastinating and start planning ahead, you can still purchase tickets for the biggest and best New Years Eve block party in Orlando at the door for $30 until Wall Street Plaza hits capacity. Prefer to be a VIP this New Years Eve in Orlando? The Resolution Lounge is calling your name. The private VIP tented Lounge has all the amenities needed for an unforgettable NYE in Orlando. Let's start with the private entrance, sofas, NYE party favors and an open bar from 10pm-2am. You'll also have an epic stage-side view of the confetti cannons when the clock strikes midnight to compliment your champagne toast. At 2am indulge in your first post-party breakfast on the block courtesy of your friends from Wall Street. Want to find more opportunities to party on Downtown Orlando's favorite block? Connect to Wall Street Plaza's business page on 407area for a full list of block parties and events coming up in the new year.